New location ! North Worcester , UK. Barely in Worcester itself but within staggering distance of the Mug House Pub which, if you know it is the best pub in Worcester. Overlooking fields, there is sufficiently low local light pollution that the milky way is clearly visible when the moon is not out. My observatory is now functional and in use. Excellent telescope and is my portable scope. 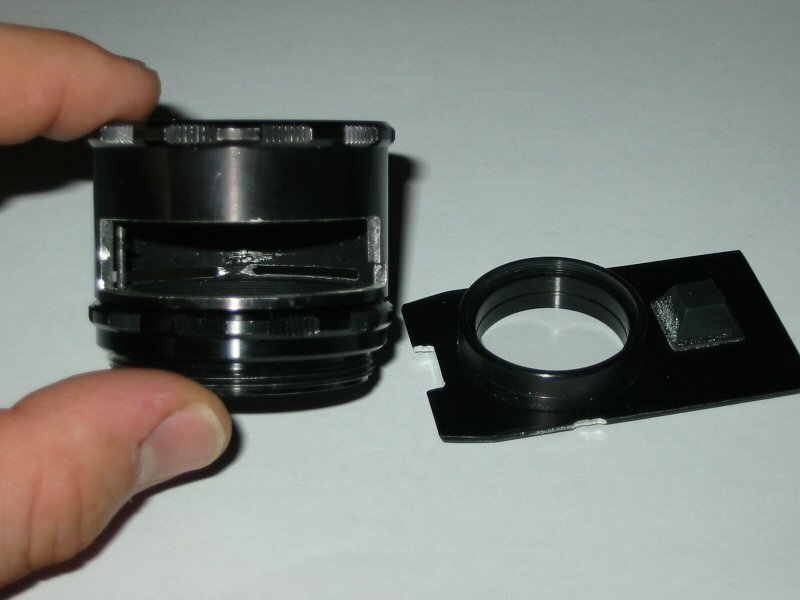 I use a Rigel illuminator on the Intes finderscope, which has the standard 8mm screw thread for illuminators. Using this and my Trius 814 gives approximately 1 arc second per pixel in 1x1 mode with a FOV of around 56.40' by 45.15' which, depending on what you read is as pretty close to the optimum resolution as you can get. 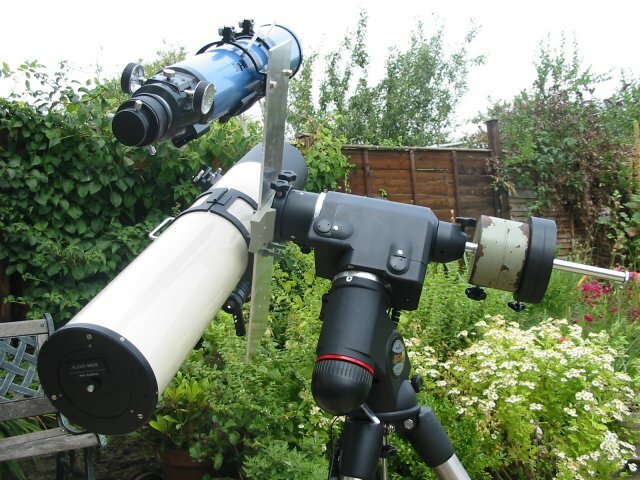 I do not use either intes micro on its native mount - all my telescopes can be fitted to the modified mount plate which connects onto my iOptron CEM60 EQ mount. Here are some images of my previous eq6 mount with both my mn56 and ED80 mounted on one plate. This is the most amazing telescope I have ever had the honour of owning - it outclasses the 10"f10 meade in all respects with the exception of having limited backfocus - and I mean limited. 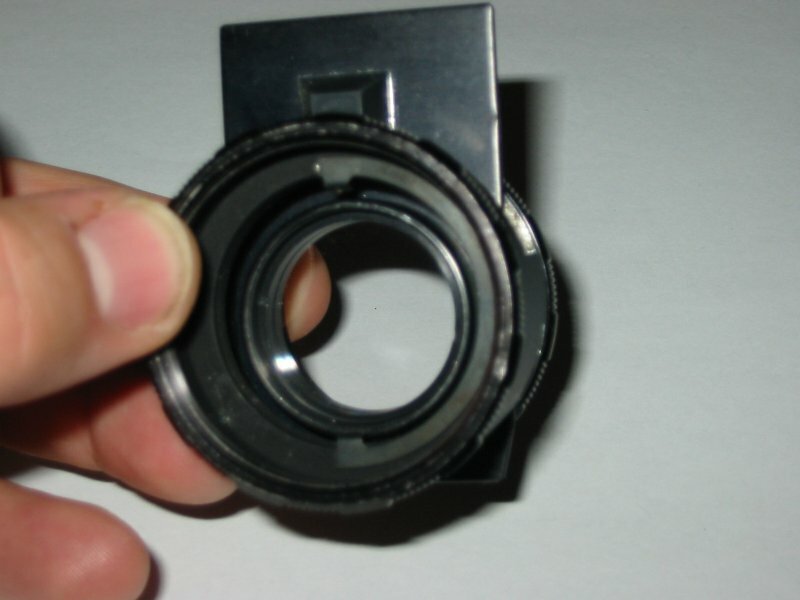 My cheapy kelner 35mm eyepiece cannot even reach the focal point. I had to fit my 2" barrel mounted CCD device ( my starlight Xpress cameras ) inside the crayford focusser to reach the focal point - extremely annoying. The purchase of a DX1 low profile focusser was neccessary and even then there is not enough room for a filter wheel. 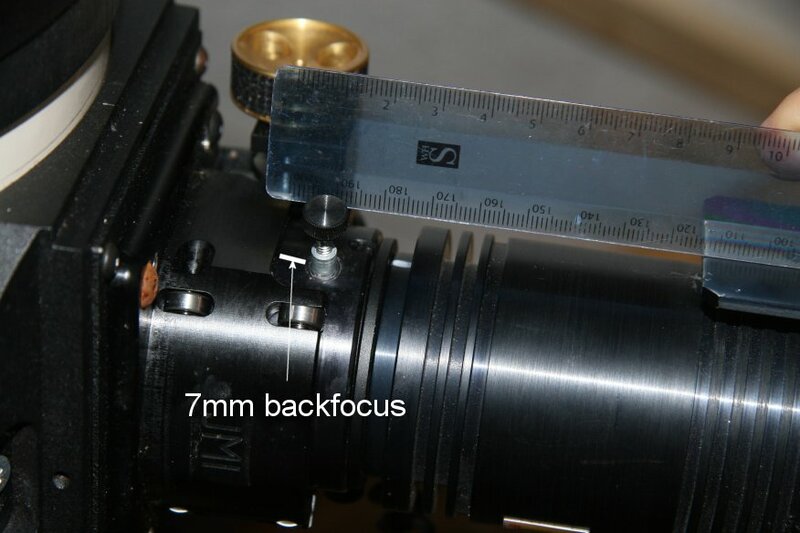 See here for how little backfocus there is when the camera is at the focal point. It is solidly built ( very solid ! - 20kg of solid ) - all the screwthreads are metal with plastic endings, ( the meade had awful cheap plastic screws which don't hold tight & wear very easily.). It is well baffled , has a very small central obstruction, has a mirror fan and most importantly provides razor sharp images, easily outperforming my 10"SCT for planetary and deepsky observations. On the first night I set it up we observed jupiter , m13 and m57. With a 4.8mm nagler I could achieve total focus on all 3 objects , which I could very rarely do with the meade, even with excellant seeing conditions. I could visually see patterns within the bands of jupiter . M13 was truly stunning, and the only way to describe M57 was to compare it with the b&w image I have in my gallery. I couldn't quite see the central star but the ring was clearly in focus, I could see differences in the structure of the ring and it appeared in sharp clear contrast in b&w ( a wonderful example of how eyes are more sensitive in b&w ( night vision with rods ) than colour). I use an iOptron CEM60 EQ mount with the larger MN86 OTA. 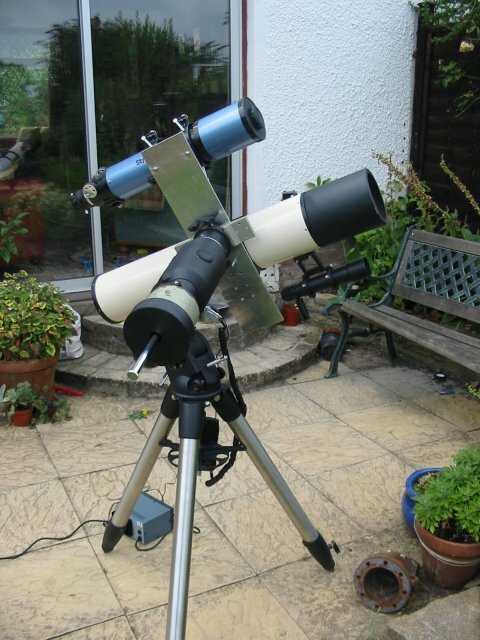 Excellant 80mm refractor, used with both Intes Micro machines, either as a guider or the main imaging scope, now replaced with a generic 60mm guiderscope, which performs just as well for a fraction of the cost. I now use an oOptron CEM60 EQ, and its smaller, more portable brother the CEM25p. I easily get 600 second guided imaging with this mount, which is light years ahead of my previous EQ6, which although good was not in the same league as the CEM60 from an engineering and ease of use capacity. My previous mount was an EQ6 mount connected with ASCOM drivers and EQMOD dll files. I previously used this relay box which is most excellant but no longer required. As you can see here the EQ6 had a full load with the MN86 , guidescope and all the extra cabling. 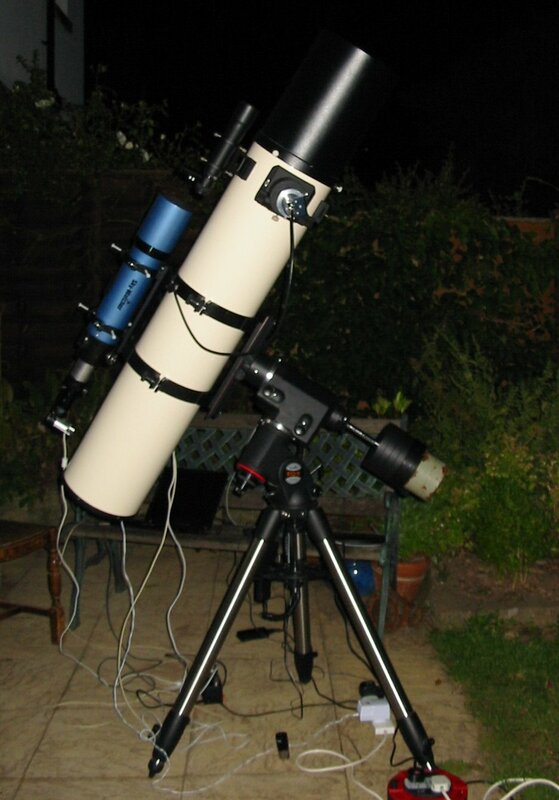 I have two positions available - my observatory mount and my standard mount position.The pier/eq6 adaptor was precision lathed by Chris Livingstone, the best astro provider in the midlands. The pier and the mount were also provided by Chris and if you need to have an equivalent setup made for your mount , please contact Chris who would be delighted to help you out. 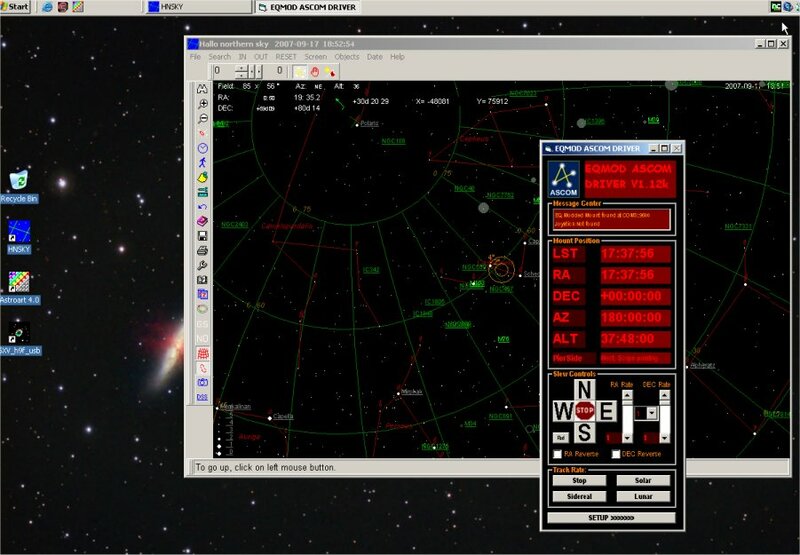 Starlight Express Trius 814 and Lodestarx2 guider. I also have numerous astrovid adaptors with m42 thread on one side and canon EOS fit on the other, permitting imaging through Canon lenses. I had to get this lathed down by 2mm to get the lens<-> chip distance to 42mm , so that the focal point could be reached. My new Intes Micro has only a small amount of backfocus and I cannot fit my True Technology flip mirror/filter holder in, so I 'designed' this . Take 1 £5 tube extension & cut some slots in it , and, err, well, that's it really. The filters slot in perfectly and it takes up about an inch of backfocus, which I can just about fit in. Not truly needed now, but permited me to attach my mount directly to a PC without the need for a skyscan handset at all. 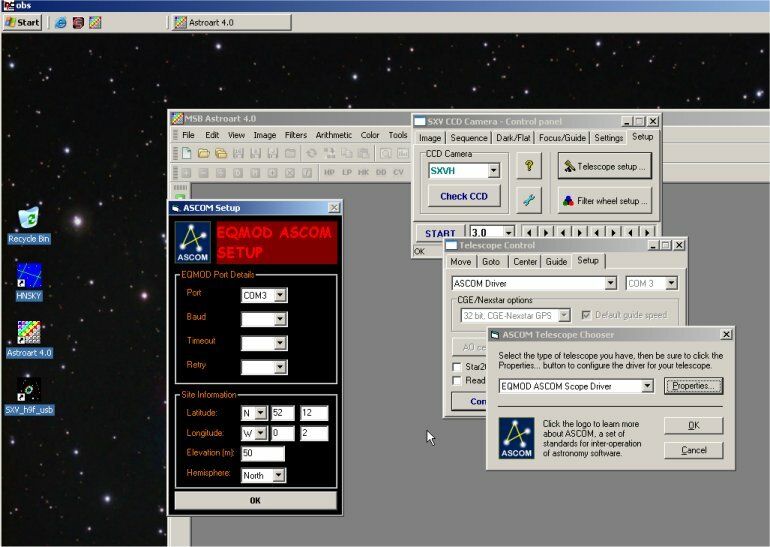 and also controled autoguiding entirely through this freeware software. £8 Home made Light Box . Thanks to Russell Croman for copying his light box idea. This cost £8 to make and took 20 minutes with a gluegun , stanley blade, tracing paper and foam board.I also use the laptop/T-shirt method for collecting flat frames, which works equally well for smaller OTA. True Technology IR & RGB filters. EQ6 mount - excellent but not nearly as good as my iOptron CEM 60 EQ. 12" f4 orion optics classical newtonian - too bulky and horrifically collumated - the secondary mirror was an inch out of place. 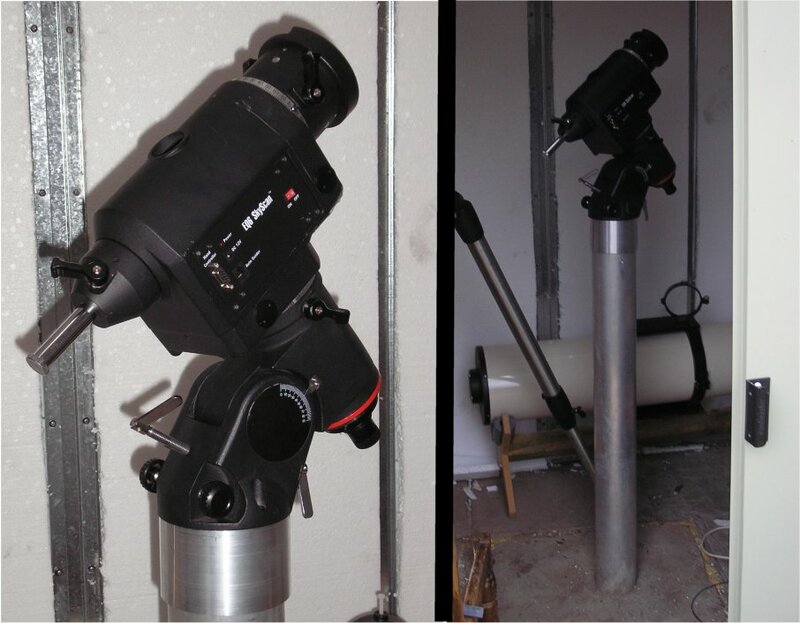 120mm helios refractor - upgraded to an intes micro mn56- the mn56 is still portable, but now with extra-ordinary quality. 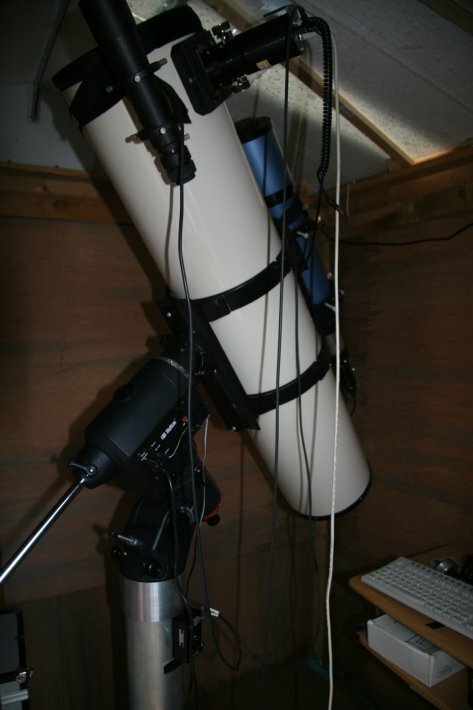 10"f10 Meade OTA - outperformed by Intes-Micro MN86. 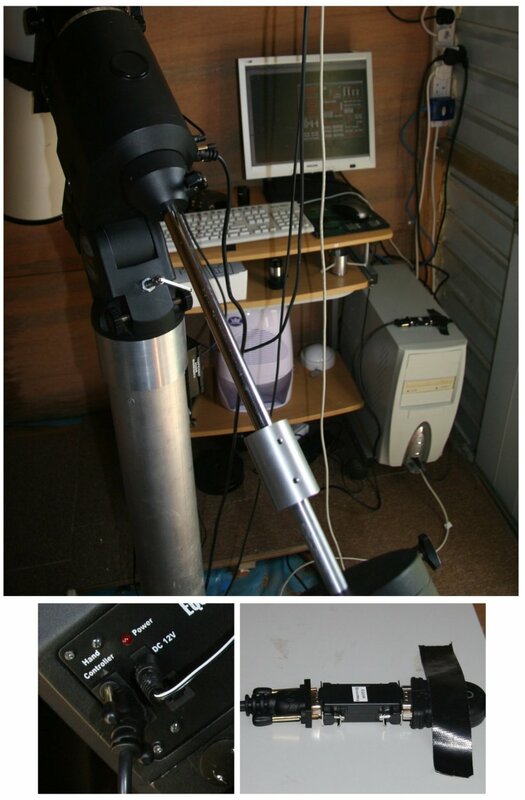 Starlight Express modified HX516 CCD camera with USB connection and a modified chip - the ICX084AL has been replaced with the ICX424AL SuperHAD CCD. 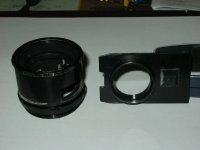 Vixen GP-DX mount . Trusty, reliable, very low PE mount - reluctantly sold to purchase heavy duty EQ6 with skyscan.